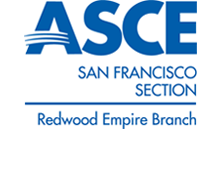 Welcome to the website of the Redwood Empire Branch of the American Society of Civil Engineers (ASCE), a professional society for civil engineers. The Redwood Empire Branch of Region 9 covers the California counties of Sonoma, Napa, Lake, and Mendocino. Find more information about the Branch by using the Navigation Bar at the top of the page. See Events Page for additional monthly luncheon details. Envision is a sustainability rating system comparable to LEED, but with 64 sustainability criteria geared toward public/infrastructure projects. It provides a framework for evaluating and rating the community, environmental, and economic benefits of all types and sizes of infrastructure projects. It evaluates, grades, and gives recognition to infrastructure projects that use transformational, collaborative approaches to assess the sustainability indicators over the course of the project's life cycle. • Be publicly recognized for high levels of achievement in sustainability. • Help communities and project teams to collaborate and discuss, "Are we doing the right project?" and, "Are we doing the project right?". • Make decisions about the investment of scarce resources. • Include community priorities in civil infrastructure projects. • Assess costs and benefits over the project lifecycle. • Reach higher levels of sustainability achievement. Rachael Keish has over 19 years of experience in civil engineering, specializing in environmental program management, storm water, and construction mitigation compliance. Her project experience includes work in design and construction, and as CEO of Keish Environmental she oversees environmental compliance on large infrastructure projects such as the Valley Transportation Plan 2035 Highway Program, BART Silicon Valley Commuter Rail Extension and water district flood control and restoration projects. 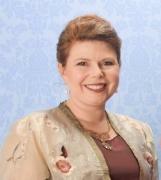 Rachael also assists agencies with stormwater program compliance under NPDES permits. Rachael Keish is an ISI credentialed Envision Sustainability Professional (ENV SP) as well as an Institute for Sustainable Infrastructure (ISI) Verifier and Trainer. She and her staff have spoken about ISI and the Envision program at local professional society meetings from 2014 to present, as well as presenting and training at regional conferences including APWA NorCal (2016 and 2018) and the national APWA PWX conference in 2018. Rachael is a qualified trainer under the Construction General Permit and Industrial General Permit for stormwater, as well as a QSP/D and QISP. Rachael is also active in WTS, CMAA, APWA, and ASCE, serving as the 2016-18 San Francisco Section ASCE Sustainability Committee Chair and founding CASQA Non-Traditional Phase 2 MS4 Subcommittee. Rachael was recognized at the 2016 and 2018 CASQA Annual Conference with an Outstanding Service Award. Rachael has a B.S. in Civil Engineering from The University of Texas at Austin, and a M.S. in Environmental Engineering from UC Berkeley.